Ball spoke about the show burning him and enjoying his break from working. So what exactly is he up to? Is he planning any upcoming projects? To read more about what Alan Ball has been up to since leaving True Blood, check out the links below! True Blood’s Pam: Good or Evil? Being only days away from HBO’s True Blood Season 6 premier, let’s rewind and remember where our favorite sharp-tongued lady vamp of Fangtasia was up to. Sounds like the you-know-what is going to hit the fan. To read the rest of the interview with Kristin, click on the link below. And Remember Truebies, season 6 premiers this Sunday June 16th! Needing an Eric Northman Fix? Then don’t fret, Truebies. The good news? Even though Season 6 of HBO’s supernatural hit TV show, True Blood has just started production, you can catch a glimpse of Alexander Skarasgard (who plays vampire Eric Northman), in his new film Disconnect. The dramatic film will show how modern technologies that are designed to bring people together can actually tear them apart emotionally. Jason Bateman, Paula Patton, Max Thieriot, and Frank Grillo are just a few celebs who will co-star alongside Skarsgard. 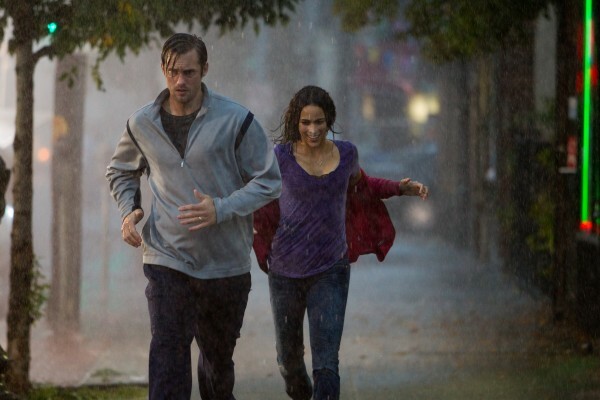 Alexander Skarsgard’s newest film will open at the 28th Santa Barbara International Film Festival. Skarsgaard is expected to attend. The bad news? We have to wait until the movie is released nationwide on April 12. What do you think truebies? Will you go see Disconnect? Robert Patrick, also known as Jackson Herveaux, Alcide’s father, has been promoted to series regular for the upcoming season six of HBO‘s hit supernatural show True Blood. This news comes hot on the heels that the show he was also scheduled to appear in; Last Resort (ABC) has been cancelled. This will now give him more time to concentrate on being Alcide’s dad in Season 6! So it looks like we’ll be seeing a lot more of Jackson Herveaux, trubies! What do you think about this? Check out the link below to see more casting news for other television shows. Credit: TV Line – True Blood Ups Robert Patrick to Regular, Eliza Dushka Joins The Saint and More! “Don’t Let Me Be Misunderstood” is the title of the sixth season premier of HBO’s supernatural hit show, True Blood. Stephen Moyer, who has portrayed vampire Bill Compton for the previous five seasons, will be directing the episode. Raelle Tucker, a veteran of 10 previous episodes including the Season 1 finale, is the writer. Tucker is also the co-executive producer of True Blood. Could HBO True Blood’s sixth season be it’s last? Since Alan Ball, creator of HBO’s True Blood, has left the show, rumors have been running amok that the upcoming season of True Blood could be it’s final. It’s no secret that shows can’t last without their foundation. Another potential piece of evidence? The’s show will be putting forth 10 episodes instead of it’s usual 12. However, Alan Ball was quoted as saying that it was due to the economy and to help accommodate Anna Paquin’s (Sookie Stackhouse) pregnancy. What do you think Truebies? Will True Blood face the true death after Season 6? Credit: Wetpaint – Will Season 6 of True Blood Be It’s Last?